The January transfer window is almost upon the world of football and with it brings wide speculation about who might be snapped up by each fans respective club. This article will review three possible acquisitions that the Premier league could find in their ranks once the window closes and the potential they bring to the table for FPL managers. Manolo Gabbiadini (Napoli) – Gabbiadini has become a very sought after attacking player over the past few seasons with Southampton and Everton watching him closely and Stoke City showing serious interest in bringing the talented 25 year old Italian to their club in the January transfer window (on a loan deal). This move to the Premier League could give FPL managers another very good forward option. Gabbiadini has only started 9 games for Napoli in all competitions this season (three of them being the full 90 minutes) with a further 8 off the bench managing 3 goals and 0 assists. However, a loan move to Stoke could see him starting regularly, with Wilfried Bony out of favour with Mark Hughes. This would allow him to link up with the likes of Joe Allen, Xherdan Shaqiri and Marko Arnautovic which should see both goals and assists rise for all players. In his limited minutes for Napoli this season, Gabbiadini has still managed 3.7 shots per game equating to 8.8 shots for every 90mins he has played. A regular starting spot at could see Gabbiadini flourish meaning good news for FPL managers. James Rodriguez (Real Madrid) – James has been touted to exit Real Madrid almost every transfer window since the end of his first season at the club. However, this could finally come to fruition with Chelsea being the front runners from the Premier League to claim his signature. For FPL managers it is a no-brainer that if James plays he should be in your squad. Having made 13 appearances (7 starts) for Real Madrid in the 2016/17 season so far, he has managed a decent return of 1 goal and 4 assists with an 87% pass accuracy. A move to Chelsea would give James even more freedom to roam and link up with other players providing chances, shots, goals and assists. With a chance created for Real Madrid every 25.3 minutes last season (4.67mins faster than second placed Neymar) a move to Stamford Bridge could also see an explosion by Diego Costa in the golden boot race with this sort of service. Keisuke Honda (AC Milan) – Sunderland are yet again in the hunt to sign Milan forward Honda. After a reported failed attempt to sign the Japanese international in the summer transfer window, the Black Cats could lure him to the Premier league mid-season giving them a much needed attacking spark. With only 4 players registering goals for Sunderland this season (Defoe, Van Aanholt, Anichebe and Borini), Honda could provide both a goal and assist threat upon his arrival meaning FPL points. Honda has been out of favour at AC Milan with only 96 minutes of time on the pitch across 5 first team appearances this season. That’s not much to go on for FPL managers. Nevertheless, Honda is historically a proven performer with 8 goals and 9 assists in his 78 total Milan caps and an impressive 63% success rate in take on’s in the 2015/16 season from the number 10 midfield position, which is a return to take note of. If a move to Sunderland does manifest, it is likely that Honda, with his wizard left foot, will be on set piece and penalty duty which should entice FPL managers for a possible squad inclusion. Although he blanked at home to West Brom in GW18, Sanchez registered 9 shots, with 6 inside the box. If he can replicate this in GW19 against a Crystal Palace side who have conceded the 3rd most goals in the league, Sànchez clearly has the potential to provide a massive haul to his owners. Having returned to form last GW with a goal (5 shots & 4 chances created), Hazard would like to continue this form in GW19. This is a real possibility, as he will come up against a Stoke side who have conceded 7 goal in their last 2 away games. This bodes well for Hazard owners, as 7 of his 9 goals this season have come at home. After a relatively dry spell, Lukaku has re-found his goal scoring touch as of late, especially away from home. In his past 2 away games, he has netted 3 goals and picked up 4 bonus points. In GW19, he will come up against Hull who have conceded 31 shots in the past 2 away games and Lukaku is definitely capable of capitalising on this obliging Tigers defence. Furthermore, Lukaku has scored 2 goals in his past 2 starts against Hull, which heightens his appeal. Zlatan is pretty much unstoppable at the moment. He has 8 goals and 3 assists in his last 7 games, and has returned 4 double figure hauls in this period. Last GW was arguably his best performance, with 1 goal (4 shots) and 2 assists (5 chances created) and GW19 provides him with similar conditions to continue this form. However, Middlesbrough have the equal 5th best defence in the league, and thus have a very tight backline, which prevents the Bug Swede from being in the top 3 captain picks this GW. Having returned to the starting line up last GW, Giroud again rescued Arsenal and claimed all 3 points for his side. This GW, he will again lead the line for the Gunners due to the absence of Theo Walcott. In addition to his goal in GW18, he registered 5 shots, 4 of which came from inside the box. Also, with the mercurial Mesut Ozil, who created 7 chances last GW, playing behind him, it is likely that Giroud will have plenty of chances to score against a porous Eagles defence in GW19. Another player who returned to his respective side’s starting XI in GW18, Mirallas showcased his talent and took his opportunity well, netting the first goal in Everton’s 2-0 win over Leicester at the King Power. In fact, both of his goals this season have come away for Goodison Park, and he has averaged just over 2 shots per game away from home. This GW, Mirallas will face the second worst defence in the league, and should he continue in a more advanced role as a second striker, he may well be amongst the points again. Since returning from injury, Andy Carroll has played himself into solid form. Over the last 3 games, he has netted 1 goal and managed a shot frequency of 1 every 23.8 minutes, which is excellent. In GW19, he will face a Leicester side who have conceded 8 goals in their past 4 home games, and have not kept a clean sheet since GW7. Carroll should be able to take advantage of this leaky defence, especially due to the service he will receive from Dimitri Payet. Both sides in this game will be desperate for a win, so the Hammers will be pushing hard to score, and Carroll is the focal point of their attacking play. It was a tough call between Defoe and Jay Rodriguez (who plays West Brom at St Mary’s this GW) for this spot, but due to the Baggies’ defensive style of play, in particular that employed when playing away from home, coupled J Rod’s rotation risk, I have opted for Jermain Defoe. Although owned by over 24% of FPL managers, Defoe seems to be flying under the radar as a captain pick this GW. However, he could exceed expectation this GW. Playing Burnley, who are averaging 19 shots conceded per game, Defoe should be able to capitalise on this loose defending. He himself is averaging almost three shots a game, which is quite good for the striker of a relegation battling side, and if he can continue to do this, he may well come away with a goal or two this GW. However, as Jamie Carragher pointed out on Monday Night Football earlier in the month, Pogba is one to look out for as he is still adapting to a new league. His underlying attacking stats are positive as he has freedom to get forward vs weaker opposition. Against Sunderland on Boxing Day he took the most shots, joint most shots on target with Ibrahimovic and had the joint most passes in the attacking third. It may be only a matter of time before he racks up big points. Coupled with suspected improvement, his price has dropped down to 8.3 from a base-price of 8.5, making him a cut-price alternative to the erratic Eriksen, and of course Mane, who flies to AFCON on 2nd January. Firmino could be the perfect like-for-like replacement for Mane in FPL and in real life, as the Senegalese winger's absence will make room for Firmino to play in a more creative role in the space in and around the defence, where he can have greater influence on the game and more touches on the ball. Firmino was back against Stoke, which was both disappointing and good news for your writer. A 10-point haul was not expected after blanks in each of the previous 6 games. Firmino could soon be back to earlier consistency and was a must-have at this point last season. Another Liverpool midfielder who scored in the same game was Adam Lallana, who has already bettered his tally of 4 goals from last season and has equalled his assists tally. It is clear that Klopp is urging his midfielders to push on higher up the pitch than last season, which also explains Coutinho's increased returns. Lallana seemed to take on the goals burden while Coutinho was out injured and Firmino out of form and presumably fitness, hitting 4 goals in 4 games. This trend may continue as Coutinho is not expected to be rushed back from his ankle injury. And then there's always Walcott. Theo was the hero for Arsenal until his calf seized up prior to the game against West Brom, on target 8 times this season at a price of just 7.9. Choose your mid-priced midfielder. Thousands of shirts in stock! + Use FPLH10 as the promo code to get 10% OFF your online order! Diego Costa (6 points), Zlatan Ibrahimovic (13 points) and Alexis Sanchez (5 points) were all strong captain options this week. In contrast, Harry Kane (2 points), Roberto Firmino (3 points), Mesut Ozil (2 points), Dimitri Payet (3 points) and Jamie Vardy (-2) were all poor captains. The difference between each list is the former are all in-form players and the latter are either not in form or have been in and out of form in recent weeks. Costa's goalscoring exploits have so far been continuous, which is part of why he was the most popular captain pick for this gameweek. Zlatan's form has been erratic though he has showed brief scoring form, mainly during the opening gambits and the past three gameweeks after his rest during the international break. Alexis Sanchez' form has been explosive, and can still offer points when his team plays poorly, as shown on Sunday with an assist for Walcott's early strike. The choice between captaining Costa, Ibra and Sanchez over Christmas is a difficult one, but by using experienced FPL players' principles, the choice becomes easy. The best thing to do when deciding on a captain for your FPL team may not be to choose a recently transferred in player who you think will come into form, but who is in the best form playing highest on confidence and has the highest ownership. The rewards will therefore be less but the risk of slipping down in the rankings is also reduced considerably. This is known in the FPL community as a 'shield captain'. Mane's late strike earned Liverpool a win in the first Merseyside derby of the season. It topped off a great first half-season for the speedy attacker at Liverpool. Sadio Mane has hit the kind of sustained run of scoring form that seasoned FPL players have been accustomed to over his time with Southampton. Mane was a hidden gem towards the end of last season when he scored for fun and has been over the past few months, with an average of 8.75 points per game in the last 8 gameweeks. However, hold fire or be prepared to fire sale! Mane as he is off to the African Cup of Nations to play for Senegal in January. Along with many other African players, he will be out of FPL action over the next month. It's like Fantasy Football, but much easier! Choose 1 team from the Premier League you think will win each week. You keep all your lives! You can only pick each team once! The last player alive in FPLHINTS' Survivor League will win a copy of FIFA 17! I hold my hands up as your blogging FPL advisor. Gameweek 16 was the opposite to what I thought it would be. At the same time though, it didn't make me think anything different to what I've been talking about throughout this 2016/17 series. Bournemouth and Leicester are unpredictable clubs with unpredictable players and unpredictable managers. Arsenal, Liverpool and Spurs are good, but too inconsistent to challenge for the title. Sanchez scores when he wants. Ibrahimovic scores when we wants. Southampton and Stoke are just as good/bad/average as one another. Chelsea keep winning under Conte's new system. Calling how many goals and clean sheets there will be in a gameweek is nion impossible as ever. The Premier League can be really straightforward or shockingly surprising from week to week. As a proud admirer of Tony Pulis (now he doesn't manage my football team anymore), it gives me immense pleasure in saying how flipping fantastic Tony Pulis is at managing small football clubs. They are not just surviving either- they are the second best form team in the entire league! West Brom have scored 13 goals in 6 games in the Premier League. It's unheard of! They've won 4 out of 6 and lost just once in their last 6 games! And even that was against the team way out in first place in the form table! And they could've drawn the game on another day! Just 1-0 against in-form Chelsea away from the Hawthorns! Get West Brom players in your teams! During this period Premier League managers attempt to limit long-term injury through player rotation. Player rotation will likely occur between Gameweeks 16 and 20, which are played between Dec 13 until Jan 2 (an average of a Gameweek every 4 days). Therefore, it is crucial for FPL managers to have a good 15 all round because players from the Spurs midfield or the Southampton fullbacks may be rotation risks as fitness becomes a priority for Premier League managers. A good all round 15 players in FPL squads will act as a safety net in cases of unexpected player rotation and will allow FPL managers to overtake others who only prioritized a good starting XI and felt the wrath of rotation. It is crucial to keep aware of the deadlines for each Gameweek as there may be midweek Gameweeks that catch many FPL managers off guard resulting in terrible performances and drops in rank. The Africa Cup of Nations showcases the very best of African football every 2 years. AFCON begins on the 14th of January and ends on the 5th of February. However, players are due to leave for international duty from the morning of January 2nd. Therefore, there will be several African players who will be on their way to Gabon to represent their nations. These players need to be on every FPL managers’ radar to avoid having or to be sold at the right time. Injuries occur more frequently during periods in the season such as mid-December to early-January as players’ schedules are much more congested and rest times are significantly reduced. Therefore, it should be the main priority of FPL managers to keep up with injury news to avoid bringing in players or playing players whose injuries go under the radar. This has been evident throughout this season. For example, Antonio Valencia’s arm injury during the international break that went under the radar affected many owners. Most recently, Emre Can’s knee injury prior to GW15 came to light after the deadline and after many managers had transferred him in. Thus, exploration of injury websites and blogs are an essential part of preparation for the fixture congestion as they give FPL managers a potential edge over other competitors. The festive period is now upon us. Fixtures will become congested and FPL managers will rapidly face GW after GW. Due to the short turnaround between matches, rotation, which we dread so much, is now a reality. This may result in an increased number of hits being taken to get our teams right and ensure all our players are ‘nailed on.’ As a result, to counteract these hits and situations where not all of our players start, it is of paramount importance that we choose the correct captain and vice-captain. Here are some of the top captain picks for GW16, and also some sneaky differentials for those chasing points. This one seems an easy decision. With 5 goals in 5 games since his return from injury, Kane is a man in form. In particular, his home form has been spectacular. He has played 3 home games in all competitions since his return, and has netted 5 goals, with a shot frequency of 1 every 14.39 minutes. His team’s home form has also been excellent, having scored 11 goals in these 3 matches. In addition to form, Kane also has the fixture this week to thrive. Hull have the worst defence in the league, conceding 32 goals so far, and averaging 20 shots conceded per away game. This poor defensive record is in contrast to the attacking dominance of Spurs, who have averaged 22 shots per home game since Kane’s return. Hull have also conceded 7 penalties this season, that’s almost 1 every 2 games. As Kane is Tottenham’s penalty taker, his appeal is thus heightened. Both Costa and Hazard are great picks for captain this GW, but I have gone for Costa. Obviously, Costa is in great form, and he has been all season, with only 2 blanks in 15 GWs. However, the more compelling reason for captaining Costa is his history against Sunderland. In this fixture last season, Costa really troubled the Black Cats’ defence and dominated the match. He netted a goal, and had 3 shots on target, all of which were big chances. Therefore, due to this fact, I am confident that Costa can carry his form into GW16 and reward his owners. Noltio hasn’t played a lot of minutes recently, having seemingly fallen out of favour since his GW5 red card. However, when given the opportunity, he has shown the attacking threat he poses. In his last 3 league starts, none of which he has played more than 77 minutes, he has managed a shot every 26.25 minutes and created a chance every 35 minutes. This is reasonable for a player without regular game time who has not been given an opportunity to find form. However, although the loss to Leicester was a disaster for Manchester City, it may have been positive for Nolito. After replacing Sergio Agüero up front in this match, Kelechi Iheanacho did not impress his manager, and was replaced by Sterling after 57 minutes. Then, with 23 minutes remaining, Nolito came on, playing in a ‘false 9’ position. In this short time, he really threatened the Foxes’ defence, registering 4 shots (all inside the box) and netting a consolation goal in the 90th minute. However, this goal and performance might have broader implications for Nolito, who has probably earned himself a start this GW, either at ‘false 9’ or on the wing. This will see the tricky Spaniard face a Watford rear-guard who have conceded 9 goals in their past 2 away games. Subsequently, although a large risk, I think that captaining Nolito could pay off brilliantly for those courageous enough. Currently overshadowed by Jamie Vardy after his hat-trick vs Manchester City, Islam Slimani himself has been in good form. Despite registering 2 goals and 3 assists in his last 5 PL starts, Slimani has been somewhat forgotten by FPL managers. However, I think that this GW will be the one where he shows his quality. Regardless of the fact that he hasn’t netted in his past two games, Slimani really started to hit his straps in these matches, managing 7 shots and really troubling both defences. In particular, his performance against Manchester City was very promising. He had 4 shots, two of which were big chances, and also got 2 assists. As a result, Slimani clearly has the potential to build on this form and punish a Bournemouth backline who have shipped 3 goals in each of their last 3 games. In the same way as Kane, this home fixture promises well for Alli and the Tottenham team. Despite a struggle to decide between Alli and Eriksen, I have opted for Alli due to his more direct threat. In Tottenham’s last PL home game, which was a 5-0 drubbing of Swansea, Alli excelled. Although not netting a goal, he did register 5 shots (3 inside the box), 2 of which were clear cuts chances that were well saved by Fabianski. In addition, he provided 2 assists, setting up 5 chances. Furthermore, in the last Champions League group game against CSKA Moscow, Alli also showcased his immense threat at home. In this match, he pulled off 7 shots (all inside the box), 2 of which were clear cut chances, and he netted a goal. He also created 5 chances (2 clear cut). In comparison, the majority of Eriksen’s shots come from outside the box or from free kicks. Therefore, although Eriksen is an excellent option and player in his own right, I think that Dele Alli will exceed him this GW and provide a solid captaincy option for those looking for a differential. 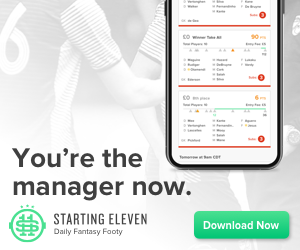 If you have any questions about GW16 or need some advice on your team, please don’t hesitate to contact me on twitter – I’m happy to help. 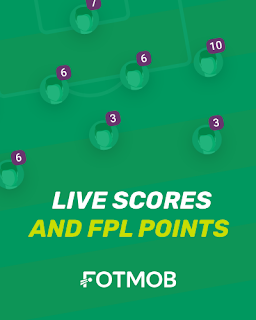 Enjoy this week’s Premier League action and good luck to all FPL managers for GW16. Gameweek 15 Review: Is The Vardy Party Back On?